Så underbart att bo så nära havet o strand, dessutom närhet till affär som hade allt man behövde. Dessutom låg denna lägenhet nära busshållplats som på 15 min tog oss in till centrum. Bageriet i närheten hade också gott bröd :). Ta gärna en drink på hotell ACs tak terazza, helt magiskt . "Very nice flat, with extremely helpful owner. Only a few steps away from the sandy beach which was not crowded by tourists. There are great fish restaurants along the beach but the local supermarket is close by if you want to cook in the apartment. Tha flat and the whole building was nice, tidy, I couldn`t hear any noise during the night, so we slept very well too. The bus 11 takes you to the city center which is nice too." "This apartment is very nice and very clean. The owners of the apartment are very friendly and very nice people, as well as the neighbours. They are also very helpful. You can get to the beach in only 2 minutes. The city centre of Malage is a 10-15 minutes bus ride away. I can recommend it highly! 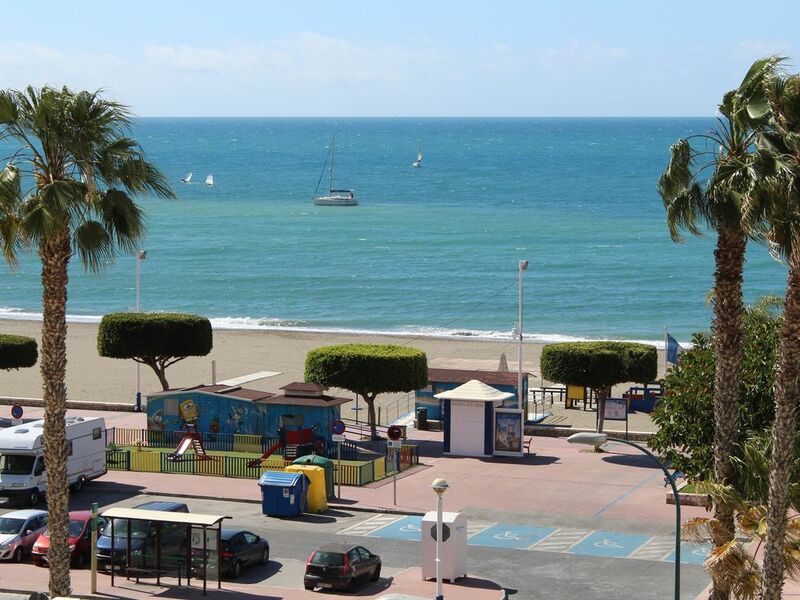 It is also suitbale for young people (from 18 years on) who want to spend their holidays in Malaga." This is a great apartment.It had everything we needed, very clean, well equipped and confortable. It is situated in a very quite area. It is almost adjacent to the beach. The owners were very kind. The apartment was everything that the owner describes. I would highly recommend this apartment. Ok lejlighed ud til en meget trafikeret vej hvor der bliver kørt med lastbiler om natten og busser til meget sent. Ikke alt for pænt rengjort. Der burde være et toilet mere. Området er slet ikke for turister men kun lokale. De kunne stort set ikke tale engelsk. Kun fiske restauranter og ingen butikker tæt på. Stranden var udmærket. Ejeren var meget flink og plus med parkerings kælder. We were three couples in this apartment and despite the one bathroom it went perfectly. We had a wonderful stay in this great appartment really close to the beatch. The owner José Luis greeted us by the apartment at arrival. He and his wife are a very nice couple. They quickly responds to email and eager to make sure you have a pleasant stay. The apartment is located a bit outside central Màlaga. This was just perfect. Not much tourists in the area. By bus it took about 15-20 minutes into town. We really enjoyed our stay, and if we ever go back to Málaga this is where we want to stay. Entrega de llaves realizada por propietario. Hora de entrada a partir de las 15 horas. Hora de salida hasta las 11 horas.